This book is about a group of women whose work is why I have a job today. I’m a software developer. Back in 1915, Woodrow Wilson created an agency called NACA (National Advisory Committee for Aeronautics). It’s job was to take those newfangled airplane thangies and turn them into weapons of war and tools of commerce. During the Great Depression, FDR saw a need to expand this agency in the face of coming war. So he ordered NACA to recruit heavily from historically black and women’s colleges to augment NACA’s engineering teams. Female engineers in the 1930s were almost unheard of, and black engineers? Unicorns appeared more frequently in parades in those days. But the nation needed fresh brains, and limiting the pool of brains to white males, particularly from Ivy League schools (a fault the CIA took forever to overcome), severely crippled America’s leap forward in aviation. Specifically, the existing engineers needed something called a computer. In the days before IBM and Univac, computer meant someone who did the math, checked the inputs, and basically made it possible for NACA to come up with such innovations as the flattened rivet, enclosed fuselages, and, most spectacularly, supersonic flight. Computers were almost exclusively female. And in segregated Virginia, the best way to get as many women as possible onto the calculating machines of the day was to create two groups: East Computing and West Computing. And West Computing was exclusively black. A funny thing happened on the way to Langley. It seemed that Jim Crow was getting in the way. Too many bathrooms (Remember whites and blacks had to relieve themselves separately.) Too much division between groups. A computer named Dorothy Vaughan started to change all that long before Brown v. Board of Education drove a stake through Jim Crow’s blackened heart. During World War II, she rose to become manager of West Computing at NACA’s Langley facility. And she made it her business to get her computers onto engineering teams so that, when the computing units were disbanded, Dorothy Vaughan was the last to go, taking a demotion to work on one of the teams working on spaceflight. See, NACA had a new task: Get humans into space. NACA was now NASA. I’ll read anything about the history of spaceflight. The stories of Glenn, Armstrong, and Lovell have always held my attention, as did those of the mission control specialists. 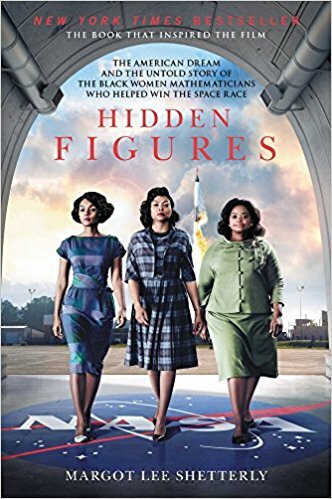 Hidden Figures tells about another piece of that puzzle. The computers at NACA/NASA are the ones who mapped the way for Shepherd, Glenn, and the Apollo astronauts to get where they were going. At the time Armstrong went to the moon, machine computers were so flaky that the preliminary work was always done by a woman, usually a lady named Katherine Johnson, then checked by a machine to see if there was anything the entire team missed. During Mercury, Johnson and her colleagues, both male and female, black and white, often ended up correcting the machine. So, yes, manned spaceflight began with a room full of women with pencils, paper, and calculators. Only in the 1970s did machine computers become reliable enough to take precedence over humans. But you cannot tell this story without talking about the civil rights movement. Virginia Senator Harry Byrd was so dedicated to segregation that sometimes his efforts in Congress hamstrung NACA in its recruiting efforts. The women of West Computing simply ignored the rules. The Blacks Only sign on a table in a breakroom had a habit of vanishing into mathematician Mary Jackson’s purse, never to be seen again. Eventually, custodians quit replacing it. Jackson also refused to use the black women’s room when she transferred to a team working one of Langley’s wind tunnels. Her coworkers simply shrugged and carried on with their work. Hey, they were busy and didn’t care what some reject from the Old Confederacy thought. Byrd was just a politician anyway, gone before man reached the moon. The women of West Computing might have been segregated in the beginning, but they did not accept their lot as second-class citizens. Their names soon appeared on research papers. Quite a few made it into the ranks of engineers. And in one of those ironies that make history so interesting, author Shetterly points out that the women of West Computing had an easier time than their male counterparts in integrating with white engineering staffs. The engineers already knew their work and their personalities while males tended to go straight to the engineering jobs, already tough for rookies who had to prove themselves. Note that I said “easier,” not “easy.” This was pre-1960s South, after all. This story is about brains, specifically black, female brains, working with the brains already in place. Eventually, it talks about familiar names among the senior engineers: Bob Gilruth, Chris Kraft, and Gene Kranz. Shetterly seamlessly moves from building bombers for the war effort to Apollo 11. Now that’s real history, when one piece plugs into another.